The sheer number of categories for watches can be dizzying. There are diving and aviation watches, racing and hiking watches, and even dress watches. You name it and most likely some swiss, Japanese or German watchmaker has created a timepiece specifically built for it. 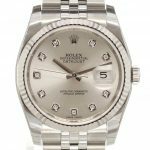 In fact, some of these subcategories of timepieces can be so popular that it is easy to forget that there are timepieces made simply for every day use. That is what this article is dedicated too, the best everyday watches for men. These are the watches that you will slide on your wrist not on special occasions but for the every day daily grind. These are pieces that communicate not only style and poise but they also do not steal the show or garner to much attention. Of course, none of this is to say that these timepieces are not worth coveting, because they are. These watches are smart in their own right. Have a look, and browse through our list of what we consider the best everyday watches for men. 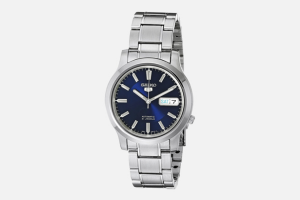 A sharp watch with a blue dial, a day and date window, and indices along its blue face that are marked with luminescent paint. The automatic timepiece from the Japanese watch company features a crystal see-through back and an attractive 37mm stainless steel case. In addition to its sharp looks, the watch has a water resistance rated up to 100ft making it ideal for wearing by the poolside or on the way to the office. It is hard to beat Timex when it comes to solid watches for everyday wear. They boast classic designs with reliable movements that’ll keep you on time and on task year in and year out. 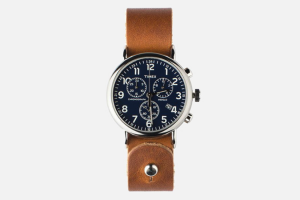 For a bit of added flair, this Weekender Chronograph is paired with an adjustable Horween leather strap and silver button stud. 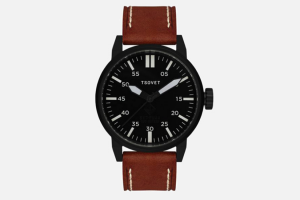 While this may be an aviator watch first, the sharp design and attention to detail make it just as easy to wear on a regular basis. The watch boasts a 42mm case with Arabic numerals and three Super-LumiNova hands driven by a Japanese Quartz movement. 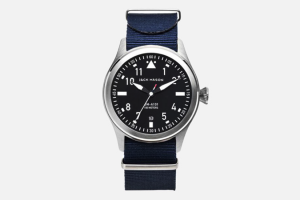 The watch comes with a 22mm navy NATO band and boasts a 3-year warranty. Great design doesn’t fade. Just take this watch for instance. Inspired by WWI infantryman’s field watches, this 44mm 316L stainless steel case boasts a face with a simple, stark design to it and three oversized hands that are driven by a Swiss Quartz Ronda 513.1 movement. The watch comes with a leather band, features water resistance down to 100 meters, and an almost matte black finish. 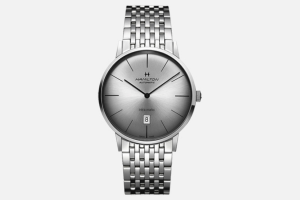 If a minimalist look is more what you’re going for, Hamilton’s Intra-Matic silver dial watch is worth a second look. This 38mm case has a date window set in a sunburst silver dial along with two thin hands powered by an ETA Caliber 2892-A2 movement with a 42-hour power reserve. The watch also boasts a 2-year warranty and water resistance to 50 meters. 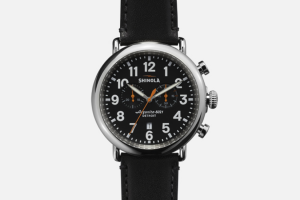 Shinola has a real knack for designing watches that manage to be both simple and attractive. This black chronograph from the Detroit-based brand is run by an Aragonite 5021 Quartz movement and features three main hands that rotate around the face and its luminescent Arabic numerals. Additionally, the watch comes with a black aniline strap sewn here in the states with American leather. It is hard to overstate how damn good looking this watch is. It features a cream-white face with Roman and Arabic numerals painted in blue Super-LumiNova, and red outlining. All of those elements come together to create something exciting, but not excitable. 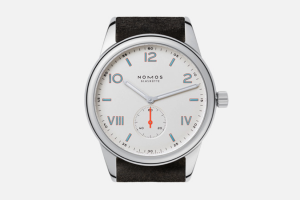 The watch is run by the NOMOS caliber movement which has a power reserve of 43 hours and comes with a velour leather anthracite strap. An ideal timepiece for both everyday wear and special occasions. 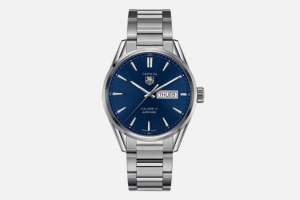 A simpler version of Tag Heuer’s popular Carrera watch. This day-date model features a blue stardust face with stainless steel indices and clean, simple hands. The 41mm timepiece has a waterproof rating of 100m and is powered by the brand’s Calibre 5 automatic movement. 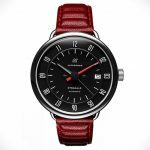 To ensure easy legibility no matter the context, the Swiss watchmakers gave the Carrera a scratch-resistant curved sapphire crystal with a stunning antireflective treatment. 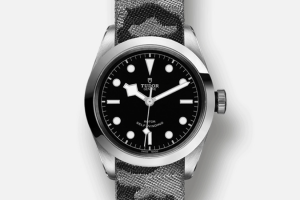 The Tudor Heritage Black Bay 41 is a different type of dive watch. It still has many of the markings of the classic style – large luminescent dots, angular snowflake hands, and the signature winding crown – but what sets it apart is its cleaner 41mm case. The exterior of the polished steel case is the same, but the middle case has been slimmed down and the sapphire crystal made flatter – making for an altogether more reserved watch. 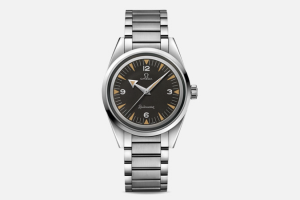 Most folks know the Omega Speedmaster and Seamaster, but not as many are familiar with the more paired-down Railmaster. Released 1957 by Omega, the watch boasted a strong anti-magnetic design intended to keep accurate even while working in strong electrical fields. Early in 2017, this watch was given a re-release with a special ‘tropical’ faded black vintage dial and luminescent indices. The watch runs on an in-house Omega 8806 movement and has a power reserve of 55 hours. 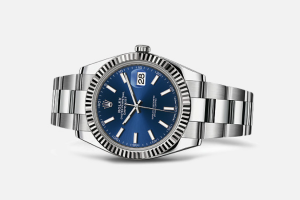 Our favorite Rolex is probably the Submariner (original, we know), but even we can admit that the famous dive watch can be a little too aggressive for daily wear. For those looking for something a little more amenable to strapping on the wrist daily, we suggest the Oyster Perpetual DateJust 41. This 41mm 904L steel watch features a clean blue dial, three hands propelled by an in-house 3235 movement, and luminescent indices.